Why is the Dead Man's Hand Aces and Eights? 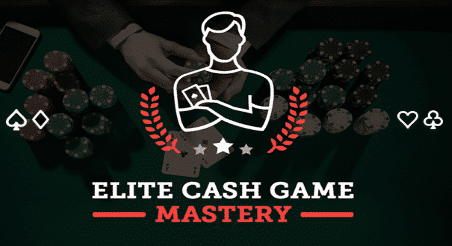 Home » Poker News & History » Why is the Dead Man’s Hand Aces and Eights? Why is the Dead Man’s Hand Aces and Eights? Aces and eights. The infamous dead man’s hand. While the actual composition of the dead man’s hand has undergone some changes over the years, its current manifestation is a two-pair poker hand of black aces and black eights. These pairs, along with an unknown kicker, were the cards reportedly held by James Butler “Wild Bill” Hickock during a five-card draw game when he was shot by Jack McCall on 2 August 1876 at Nuttal & Mann’s Saloon in Deadwood, Dakota Territory. The story goes that a very inebriated McCall—who had introduced himself as Bill Sutherland—was playing poker with Hickok the previous evening and losing heavily. Hickok encouraged McCall to stop for the night until he could settle up, and Hickok gave him some money for food. When the insulted McCall entered the saloon the next day, he walked up behind Hickok—who was begrudgingly sitting with his back to the door as another player, Charlie Rich, wouldn’t change seats with him—and shouted, “Damn you! Take that!” and proceeded to shoot Hickok in the back of the head with his Colt Model 1873 .45 caliber revolver. Hickok died instantly. The state executed McCall for murder seven months later. In Des Wilson’s Ghosts at the Table (2007), the author attempts to determine exactly what cards Hickok had been holding on that fateful day. Whereas most accounts suggest Hickok’s hand was comprised of the black aces and the black eights—with an unknown fifth card—another story proposes that a delivery man named Richard Stephens picked up Hickok’s cards and later donated them to a museum. In this account, Hickok’s hand was A♦ A♣ 8♥ 8♠ Q♥ and included a drop of the deceased gunfighter’s blood. Although there is some doubt about the actual dead man’s hand’s fifth card, the consensus was—and remains—that Hickok died holding two pair of aces and eights. Voila, the dead man’s hand was born. It is called the dead man’s hand because about forty years ago, in a town of Illinois, a celebrated judge bet his house and lot on three jacks and a pair of tens. It was the last piece of property he had in the world. In the Encyclopaedia of Superstitions, Folklore, and the Occult Sciences (1903), the dead man’s hand is comprised of jacks and sevens. Several accounts claim that later, in 1907, British writer Edmond Hoyle (of Hoyle Cards and Poker Hall of Fame fame) called the dead man’s hand jacks and eights; however, Hoyle died in 1769, so this would have been a truly remarkable feat indeed. Interestingly, attribution of the dead man’s hand to Hickok didn’t come about until the 1920s when it was finally solidified in poker vernacular as a pair of aces and a pair of eights thanks to Frank Wilstach’s Wild Bill Hickok: The Prince of Pistoleers (1926). In James Patterson’s Along Came a Spider, Agent Jezzie Flanagan uses aces and eights (aces&eights) as her computer password and relates a story about how her father won a handmade Turkish gun with the hand. Protagonist Randle McMurphy has a dead man’s hand tattoo on his shoulder in Ken Kesey’s One Flew Over the Cuckoo’s Nest. In two John Ford films—Stagecoach (1939) and The Man Who Shot Liberty Valance (1962)—characters are holding the dead man’s hand. Motorhead, Bob Dylan, Ha Ha Tonka, Bob Seger, Lita Ford, Blue Oyster Cult, Michael McDermott, The Church, and KSHMR use some variation of aces and eights in several of their songs. Popular video games such as Fallout: New Vegas and Hearthstone reference the dead man’s hand. Aces and eights makes an appearance in the collectible card game Doomtown. In fact, the highest possible rank is aces and eights with the J♦. A dust-covered dead man’s hand is visible in the lobby of Disneyland Paris’ Twilight Zone Tower of Terror. The dead man’s hand is also quite popular in logos, insignias, and tattoo designs. 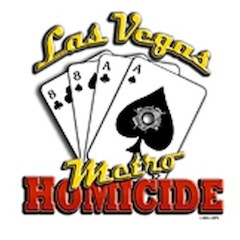 For instance, the Las Vegas Metropolitan Police Department uses the hand in its Homicide Division insignia. There you have it, a brief history of the dead man’s hand and our current and continued fascination with aces and eights. Do you have an interesting dead man’s hand/aces and eights story? Please share below. 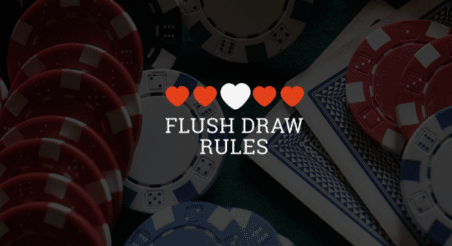 Good luck at the tables, and don’t sit with your back to the door!